Anton Kochinian was a remarkable, yet underrated figure in the history of Soviet Armenia during the 1950-1970s, despite being in top leadership positions for most of that period. He was born in the village of Shahali (now Vahagni), in the district of Lori, on October 25, 1913, in the family of an agriculturist. He studied in the local school, then entered the youth organization of the Communist Party (1928) and studied in the school of the organization until 1931. He went to Tiflis to study at the Armenian pedagogical technical school in 1932, but left after a year and he was sent to Yerevan to study at the agricultural school of the youth organization (1933-1935). After working on the editorial boards of local newspapers from Tavush and Vayots dzor (1935-1937), Kochinian rapidly rose in the party ranks. First he was secretary of the regional committee of the district of Azizbekov (Siunik) from 1937-1939, and from 1939-1940 secretary of personnel and then first secretary of the Central Committee of the Communist Youth Organization. 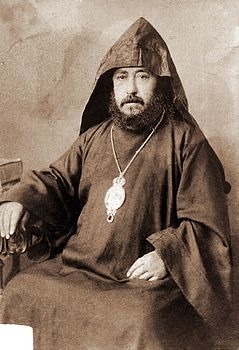 In 1940 he was elected member of the Central Committee of the Armenian Communist Party, and in 1941-1943 he led regional committees in Yerevan and Kotayk. After spending two years in Moscow as an auditor at the higher school for party organizers, in 1946 he was elected third secretary of the Central Committee of the Armenian Communist Party, and in 1947 secretary of personnel. In November 1952 Kochinian was promoted to the post of president of the Council of Ministers. He would occupy this position of prime minister for almost fourteen years, during the tenures of Grigori Arutyunov (1937-1953), Suren Tovmasian (1953-1960), and Yakob Zarobian (1960-1966) as the party’s first secretaries. Kochinian was selected by the Moscow leadership to replace Zarobian in February 1966 after the latter failed to contain the demonstrations of April 1965 on the fiftieth anniversary of the genocide. 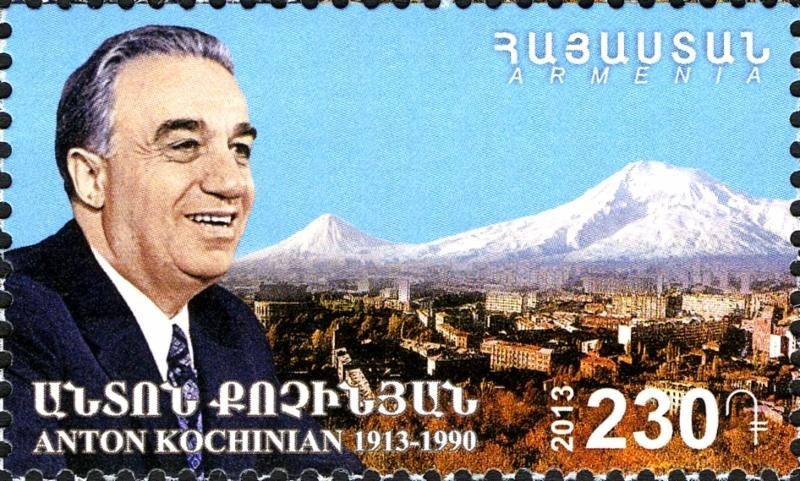 During his more than two decades both as prime minister and first secretary of the party, Kochinian recorded a series of important achievements. The economic progress of Armenia was backed by an important program of industrialization. This included the construction of chemical factories in Alaverdi and Kirovakan (nowadays Vanadzor), the industrial complexes of Hrazdan and Charentsavan, and factories in Sevan and Dilijan, complemented by railways that ensured transportation of raw materials and production. The “Yeraz” truck factory (1964) in Yerevan and big electronic factories in the city of Abovian were added in this period. Thermoelectric centrals were built in Yerevan, Kirovakan, and Hrazdan, as well as the hydroelectric central of Tatev and the cascade of Vorotan. The construction of the 48 kilometers-long Arpa-Sevan tunnel, which would bring the waters of the Arpa River to Sevan Lake, started in 1963. Kochinian’s active participation was instrumental in the decision to build the nuclear central of Metzamor, started in 1969, which would lead Armenia to energy self-sufficiency. Several thousand hectares of orchards were planted, along the construction of the canal of Aparan and the reservoir of Garni. The Yerevan-Sevan highway and the Kapan-Goris route were also built. Besides a network of sanatoria, pioneer camps, and tourism areas throughout the republic, the sports complex of Tzaghkadzor, which would be used to train the Soviet winter sports teams, was built in the 1960s, and some important public works in Yerevan started in the early 1970s, such as enlargement of the Zvartnots airport (1973), the Hrazdan stadium (1971), and the Rossiya movie theater (1970). The first steps to build the subway network were taken in 1972. Kochinian was also instrumental in the inauguration of the genocide memorial of Tzitzernakaberd (1967), the monument of Sardarabad (1968), and the Erebuni museum (1968). The latter coincided with the celebration of the 2750th anniversary of the foundation of Yerevan with great fanfare. He also raised the issue of Karabagh in 1966. During Kochinian’s tenure as first secretary, Soviet Armenia earned three of the five all-Soviet decorations it had throughout its history for reaching high marks in economic activity (1968, 1970, and 1972). Kochinian himself was twice decorated with the order of Lenin. In November 1974 he was replaced by Karen Demirjian under pretexts of “serious flaws in leadership” and practically left unemployed. He passed away on December 1, 1990. On the centennial of Kochinian’s birth, two busts were inaugurated in Yerevan and in his birthplace in Vahagni (Lori). 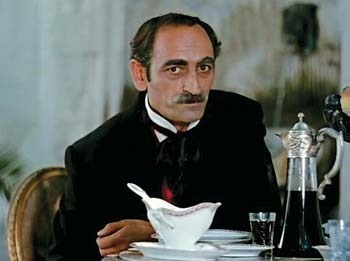 Sos Sargsyan became one of the most renowned Armenian actors in the second half of the twentieth century. He was born in Stepanavan, in the Lori region of Armenia, on October 24, 1929. He debuted on the stage in 1947 as David Copperfield in a homonymous play based on Charles Dickens’ novel. He moved to Yerevan in 1948 and started performing at the Theater of the Young Spectator. Meanwhile, he entered the Yerevan Fine Arts and Theatre Institute, from where he graduated in 1954. Upon graduation, at the age of twenty-five, he entered the Gabriel Sundukian Drama Theatre, the premier theatrical ensemble of the country, where he worked for the next thirty-seven years. Sargsyan was one of those actors who did not need to make recourse to external emphasis and emotions in order to reflect his feelings. During his lengthy career, he performed roles in many plays both by Armenian and non-Armenian authors. Roles like Ben Alexander (William Saroyan’s My Heart is in the Mountains), Don Quixote (Mikhail Bulgakov’s homonymous play), Iago (William Shakespeare’s Othello), or King Lear (Shakespeare’s homonymous play), among others, cemented his fame. He played in over forty films, including unforgettable roles in Armenian classic movies like Guys from the Army Band (1961), Triangle (1967, Armenian SSR State Prize in 1975), We Are Our Mountains (1969), Khatabala (1971), Nahapet (1977), Dzori Miro (1981), Gikor (1982), and others. His cinematographic participations included various Russian films, most particularly Andrei Tarkovsky’s Solaris (1972). He was the narrator of the documentary Matenadaran (1988, Armenian SSR State Prize). In 1992 he established the Hamazkayin Theater, which he headed until the end of his life. Sargsyan continued directing and playing, both in theater and cinema. Simultaneously, he was the dean of the Yerevan Institute of Theater and Cinema from 1997-2005, and served as a member of its board of directors from 2006 until his death. He published several novels, memoirs, and collections of essays between 1991 and 2013. His lengthy career of more than sixty years earned him many distinctions. He was named Popular Artist of Armenia in 1972 and of the Soviet Union in 1986). He was also awarded the Mesrop Mashtots medal of the Republic of Armenia (1996), the St. Sahak-St. Mesrop medal of the Armenian Church (2000), and the Mekhitar Gosh medal of the Republic of Mountainous Karabagh (2001). He was named honorary citizen of Yerevan in 2000 and earned the title of Professor in 2003. Sos Sargsyan was also active in the political field. He was elected deputy to the Supreme Soviet of the USSR from 1989-1991, and in October 1991 he was nominated by the Armenian Revolutionary Federation as candidate in the first presidential election in independent Armenia. In 2009 he was elected to the National Assembly on the A.R.F. list. On the same year, he was elected as member of the Public Council, an advisory body to the President of Armenia. The famous actor passed away on September 26, 2013, in Yerevan, and was buried at the Komitas Pantheon. The centuries-old Armenian community of Transylvania—currently part of Romania–had essentially lost the language by the nineteenth century, but had kept a strong sense of identity. They were fully integrated to the life of Hungary, which was part of Austria since 1526. 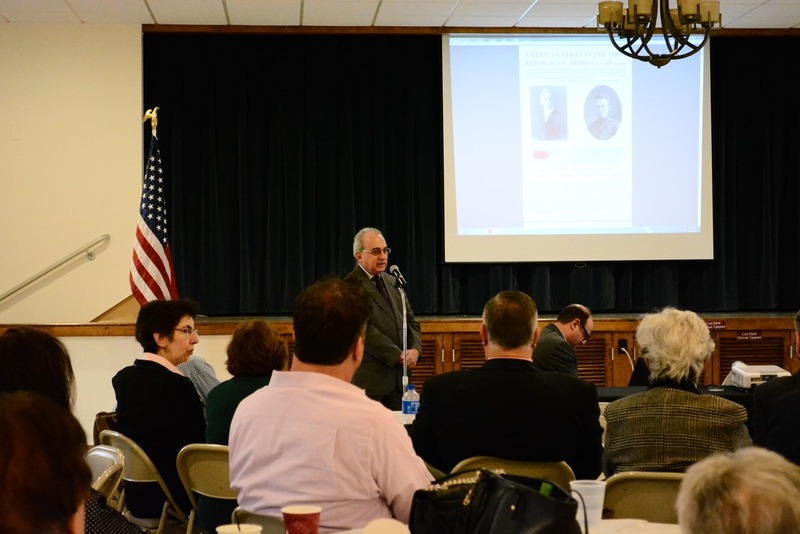 It should not be surprising that several military leaders of the Hungarian-Revolution of 1848-1849 were Armenian. One of them was Vilmos (pronounced Vilmosh) Lázár. Lázár’s (originally Lazarian) ancestors had moved from Gherla (Armenopolis), the Armenian center of Transylvania, to the region of Banat—currently divided between Romania, Serbia, and Hungary—and received a title of nobility. He was born in the city of Nagybecskerek (nowadays Zrenjanin in Serbia) on October 24, 1815. In 1834 he began his military career in the service of the 34th regiment of infantry in the imperial army. He was commissioned by Emperor Ferdinand I of Austria as a second lieutenant in the Hussar regiment, but in 1844 he retired and returned to his estate farm in Zemplen with his wife, Baroness Mária Revitzky. He worked at the railway company in 1847. The echo of the French revolution of 1848 spread throughout the continent and found fertile ground in Hungary, where nationalist trends had generated an awakening of patriotism. On March 15, 1848, a revolt against the Habsburg dynasty exploded. Led by Lajos Kossuth, poet Sándor Petöfi, and Mór Jókai, it soon became a war of independence. Emperor Franz-Joseph asked for help to Czar Nicholas I of Russia to fight against the revolution. Lázár took the revolutionary side and volunteered his services to the Hungarian army. He successively became a lieutenant (October 1848), captain (November), major (January 1849). 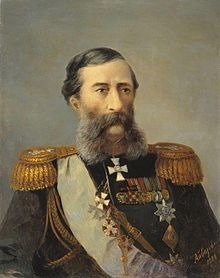 In April 1849 he was appointed as commander of a brigade stationed in Zemplén. At the end of the month the brigade was reassigned to the legion forming in Upper Hungary. In mid-June Lázár became the commander of division in the legion and participated in the Dukla Pass battle against a Russian army. He was promoted to lieutenant colonel in July and fought in the last battles of the war of independence. He was promoted to colonel on August 12, but the next day the revolutionary army surrendered to the Austrian-Russian forces. On August 19 Lázár had to do the same with the remainder of his troops (4,600 people). The promise of an amnesty went unfulfilled. On October 6, 1849, thirteen Hungarian officers were condemned to death by the Austrian forces of occupation in Arad (Transylvania). The date was purposefully selected, because it marked the first anniversary of the failed insurrection of Vienna in 1848 and the supremacy of Austrian power. 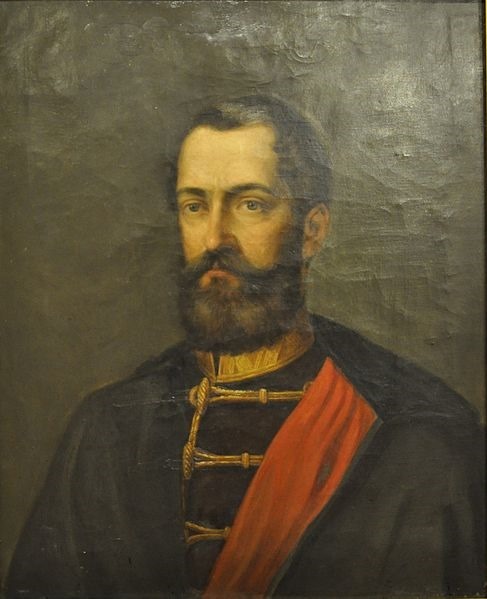 Although Lázár only had the rank of colonel, he was considered to have equal status with the generals in the Arad military court martial. He was sentenced to execution by firing squad together with three other colleagues, including General Ernö Kiss, also of Armenian origin. Nine others were hanged. Vilmos Lázár’s remnants were uncovered in 1913 at the cemetery of the fortress of Arad. His body was then laid to rest in the crypt with a monument that honors him as one of the 13 Martyrs of Arad. Four streets in Budapest and other cities are named after him. Since 1997, on each October 6, the Armenian community of Hungary organizes a tribute to Vilmos Lázár and Ernö Kiss at the square that remembers the martyrs of Arad in the city of Veszprém.